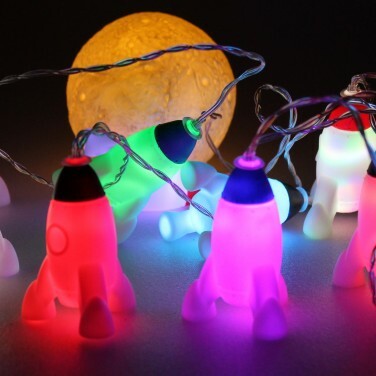 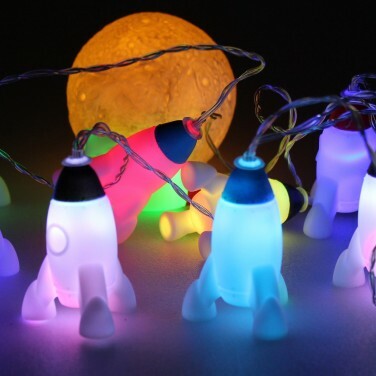 Magical space themed fairy lights for kids rooms, nine soft and squidgy rockets are lit with colour change LEDs for a funky cosmic glow! 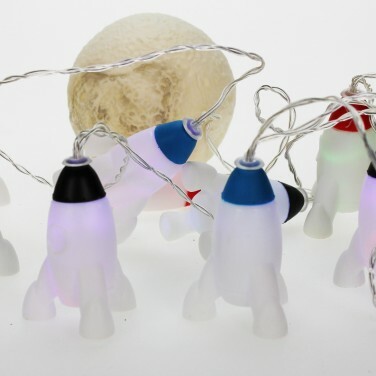 Each set comes with it's own moon shining with warm white light to complete the space theme off setting the colour of the rockets for magical effects. 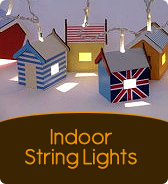 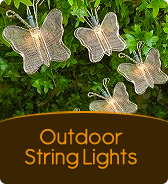 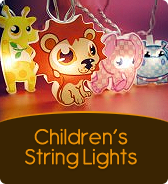 Battery operated, these soft touch string lights are perfect for kids rooms remaining cool to the touch whilst transforming their space with colourful, warming light.